A spine-tingling icebreaker activity featuring Maori tribesmen all the way from NZ! Everyone is given thirty minutes to design and construct their egg tossing contraption before lining up for the competition. These simple plastic musical tubes can change any conference or meeting room into a sea of colour in this fun icebreaker activity. 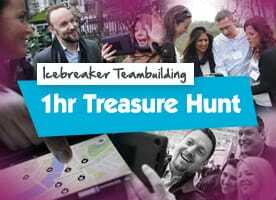 This energising expedition icebreaker will have your group split into teams and hunting for clues. 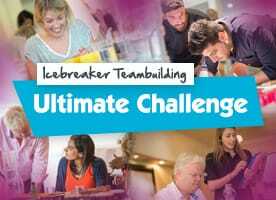 Our Ultimate Challenge Icebreaker activities are sure to get your group energised with dozens of fast paced, mini-challenges! This colourful, choreographed icebreaker event will have everyone shimmying and shaking along to Bollywood dancers. A spectacular display of euphoric gum boot dancing and wellie whacking! A great icebreaker activity. 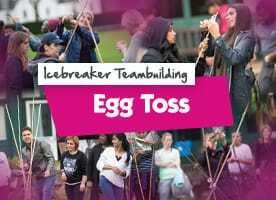 Icebreaker activities are short, energetic experiences designed to ‘break the ice’ at your conference or meeting. These interactive, collaborative activities break down barriers to get your group energised and receptive to the day ahead. In our experience the start of a conference or meeting can be relatively dry. Often with delegates from different offices or even countries, the initial minutes can feel just a little frosty. At this point our fantastic facilitators and performers burst into the room, to the complete surprise of your group! 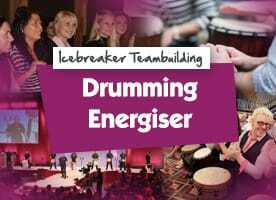 After a quick, entrancing performance we’ll have the complete attention of your group and will introduce the specific challenge for your Icebreaker. 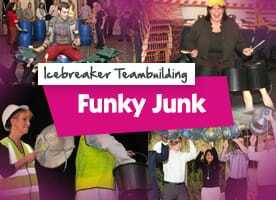 Icebreaker activities range from stomping in Gumboots and drumming on Junk, to Bollywood dancing and spectacular singing. 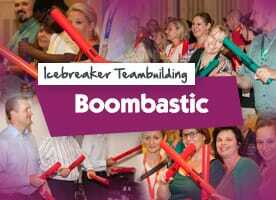 Each Icebreaker lasts about an hour - by the end your group will be completely energised and raring to go. Any pre-conference nerves will have been dispelled and the ‘ice’ will definitely be broken. First time organising an event? Don't worry, we have you covered, with over 70 different event ideas on offer the most challenging aspect will be knowing which one to choose!